Andy Rubin, co-founder of Android, upon leaving Google in 2015 founded a new smartphone company, which released its first smartphone in May 2017, the Essential PH-1. This was, in its day, a decent phone with nice specs, however it didn't make too much money. Now it seems that its successor, the PH-2, will be an even better handset that has every potential of doing much better than the PH-1. We're not talking solely about the specs here, but also about some quite interesting new technology. According to a recent report. the PH-2 will have a selfie camera placed beneath the display. In fact, we'll have an single uninterrupted sheet of glass on the front with no notches or anything else. When the selfie camera is turned on, the display becomes translucent at the spot allowing the sensor to make photos through the glass. We still don't know however whether the display will be build in LCD or AMOLED technology. 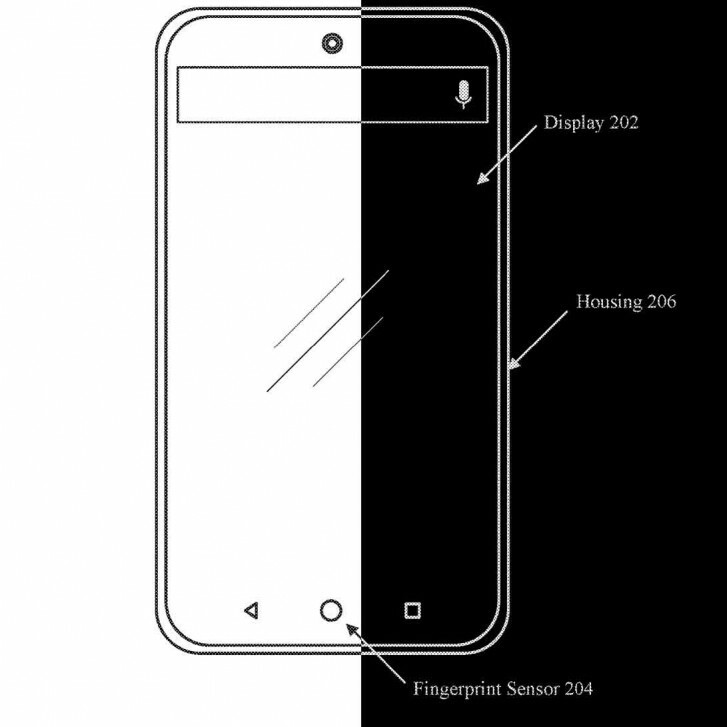 Another thing that we can see from this sketch is that the PH-2 will have an in-display fingerprint scanner. We really hope that one such piece of technology will see the light of day soon as it's bound to set the course for future smartphone development.